Gas Sensor MQ-6 is a simple-to-use liquefied petroleum gas (LPG) sensor, suitable for sensing LPG (composed of mostly propane and butane) concentrations in the air. The MQ-6 can detect gas concentrations anywhere from 200 to 10000ppm. 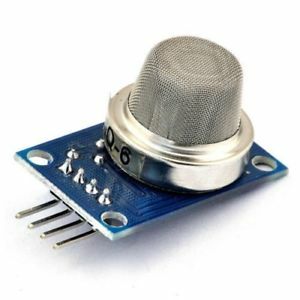 This sensor has a high sensitivity and fast response time. 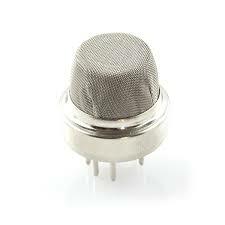 The sensor’s output is an analog resistance. The drive circuit is very simple; all you need to do is power the heater coil with 5V, add a load resistance, and connect the output to an ADC. This sensor comes in a package similar to our MQ-3 alcohol sensor, and can be used with the breakout board below.These are used in gas leakage detecting equipments in family and industry, are suitable for detecting of LPG, iso-butane, propane, LNG, avoid the noise of alcohol and cooking fumes and cigarette smoke.